For the second year, I am participating in the annual Picture Book 10 for 10 event hosted by Reflect and Refine: Building a Learning Community and Enjoy and Embrace Learning. Bloggers who participate post a list of ten must-have picture books. As someone who loves to read, I always enjoy books about books. So, this year my list includes picture books about books. Each of these books celebrates the joy of books and the power of reading. This is a collection of poems all about books. The poems are full of voice as each is written from the perspective of a book, or something book related. Some of the voices the poems take on include that of a cliffhanger, a book jacket, and a book taken on vacation. The poems vary in style, format, and length which makes turning the page to read each new poem interesting. 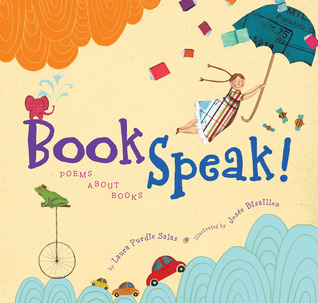 Each of the poems is a fun and playful celebration of books. Dog loves books so much that he opens a bookstore (as I'm sure many book lovers would love to do!). Dog's bookstore is not very busy so he spends his time reading. Through his reading he takes imaginary adventures to other places. This book not only shows the joy of reading, but also the fun of recommending and sharing books. When I read this book to my students they always find it quite funny. Henry loves books so much that he eats them. He eats more and more and gets smarter and smarter, but this turns into a problem when he starts to get ill. Soon, Henry learns he can also get smart by reading books. My students especially love the last page of the book which, with its missing piece that makes it appear as if a bite was taken out of it, reveals a surprise ending. The story is clever and funny with an important message about reading in order to gain knowledge. Bear agrees to go to the library with Mouse even though he insists that he has all the books he needs at home. Mouse tries to show Bear how exciting the library is, but Bear only grumbles. 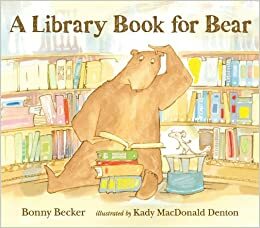 When Bear listens in on story time, he discovers there is a book at the library that he can't resist. Mouse's persistence along with Bear's grumpy attitude make this both a sweet and humorous read. 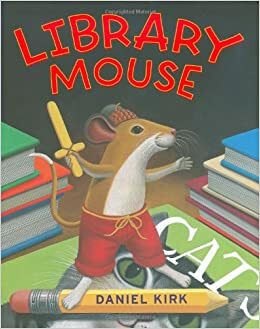 Sam, a mouse who lives in the library, loves books so much he decides to write his own. The children enjoy the books and want to find out who has written them so they plan a Meet the Author Day. Sam is a little shy so instead of revealing himself he helps the children learn that they can be authors themselves. This book may inspire students to write their own books. This is a story of Missy, a reluctant reader who is not interested in any of the books in the library. 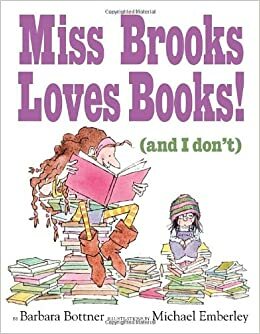 Miss Brooks, a librarian who loves books, has declared Book Week and Missy must find a book she loves to share with her class. This proves challenging and terrifying to Missy until her interest in warts leads her to the perfect book. The message of this book reminds me of Frank Serafini's quote, which is one of my favorites: "There is no such thing as a child who hates to read; there are only children who have not found the right book." Oskar and Theodore are enjoying quiet time at the library until they are interrupted by the "Boom! Crash! Growl!" of a monster. Oskar and Theodore teach the monsters that books are not for eating, but then find they are in danger of being eaten themselves. Luckily, for Oskar and Theodore, story time begins just in time and the monsters learn how much they enjoy listening to a good book. The monsters, although menacing, bring humor to the story. Otto loves to explore beyond the pages of his book, but one day when he comes to life his book is shipped away and he can't return. Otto goes off on an adventure and realizes how much he misses the pages of his book. 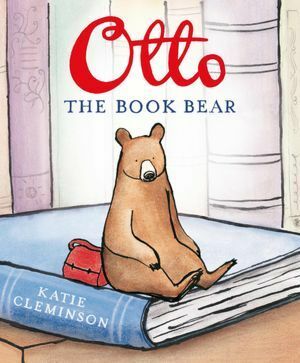 Otto happens upon a library where he finds a friend and a new book to be his home. This is a unique story that shows the wonder of libraries. 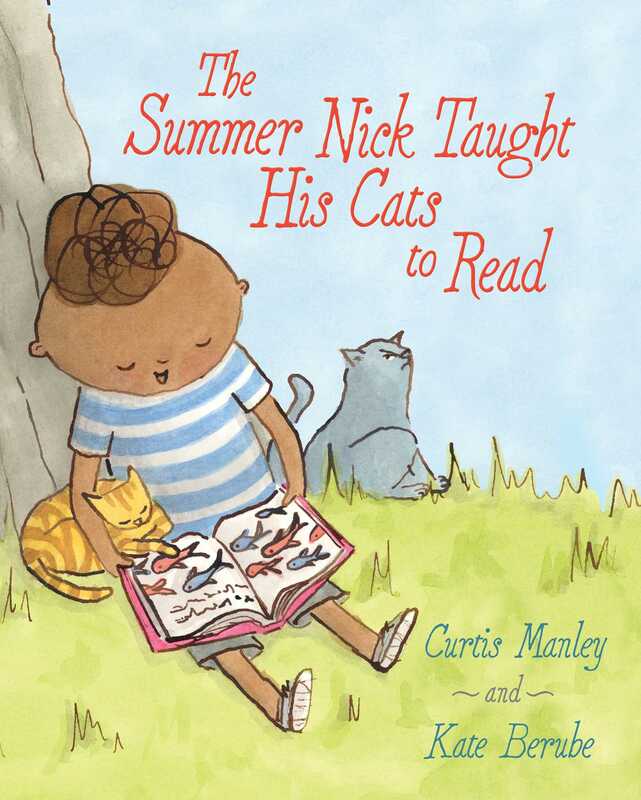 Nick decides to teach his cats, Verne and Stevenson to read. He successfully teachers Verne who becomes an avid reader, but Stevenson remains uninterested. When Nick discovers Stevenson's drawings he uses them to write a book that Stevenson will enjoy. This is a cute and humorous book that helps readers to see a connection between reading and imagination. Ana has only one book and lives in a village in which there is no longer a teacher for the children who live there. 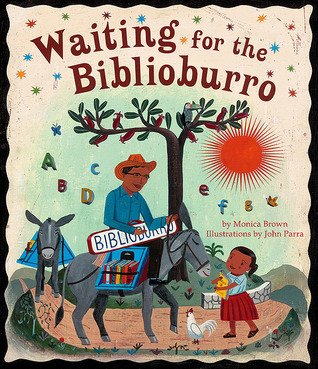 Her wish for more books is granted when outside her house one morning she discovers a moving library, a Biblioburro. This story is inspired by the real-life librarian, Luis Soriano Bohórquez, who travels with a donkey-drawn cart to bring books to remote areas of Columbia. The story celebrates the efforts of those who bring the joy of literacy to those who otherwise couldn't experience it. A related book, Biblioburro: A True Story From Columbia by Jeanette Winters, tells about the experience of Luis Soriano as he makes the difficult journey across the countryside with his donkeys and his books. Both books show that one person can make a difference in the literacy lives of others. Terrific list. 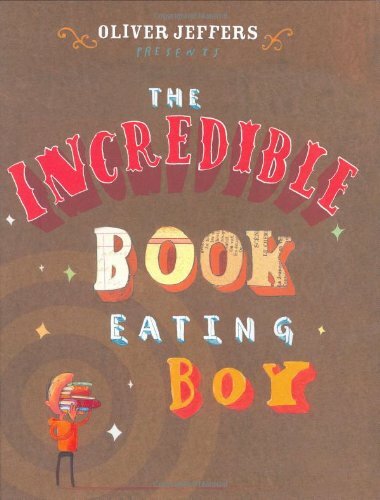 I don't know how I missed Oliver Jeffer's The incredible book eating boy! He's one of my favs. Thanks for the recommendations. This is a great list to build reader identity. Thanks so much for sharing these titles. I will add many of them to my next ready stack. Glad you have some titles to add to your stack. There were so many to choose from. It was hard to narrow it down. Thanks for telling me about The Reader. That is one that I don't know. Oh, of course I LOVE this list! 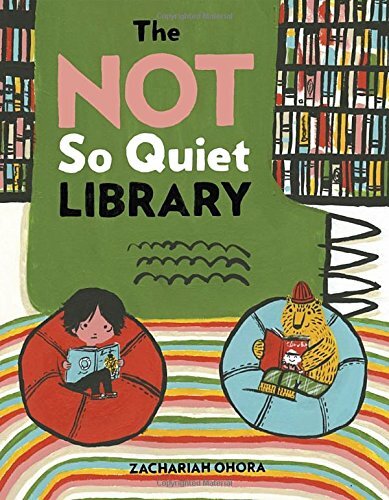 I just read The Not so Quiet Library. Lots of fun!